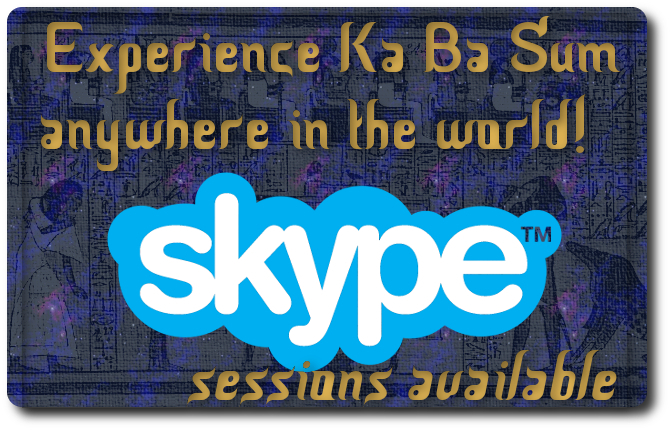 Ka Ba Sum is a mixture of Ancient Egyptian healing with a new 5D post-2012 upgrade! 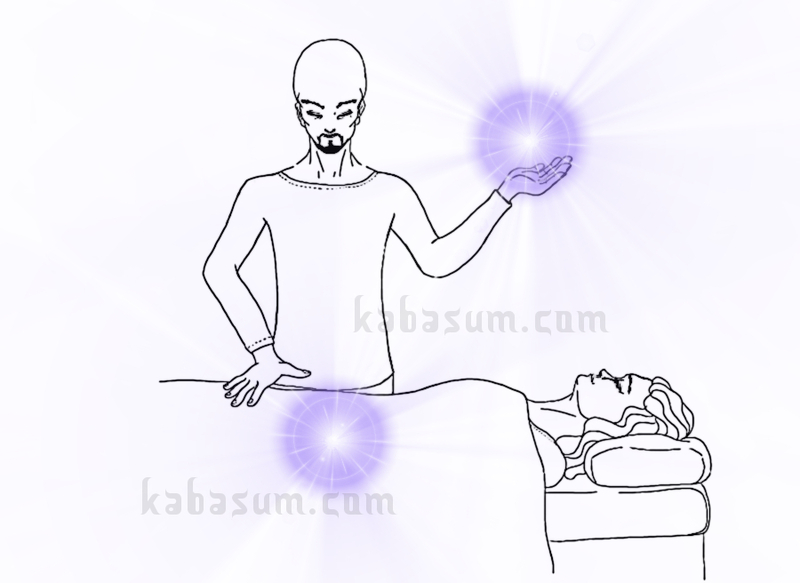 So, what happens in a Ka Ba Sum treatment? The treatment is a mainly hands-off therapy, where energy is channeled by the therapist (connecting up to the source of the energy) and directed towards you in differing ways. Ka Ba Sum is a layered treatment. Each layer has a specific purpose, from initial psychic and energetic protection, to healing energy, balancing the ‘Ka’ (chi/prana, etc.) energy, introducing ‘Ba’ (personal power) back to you or allowing the ‘Sum’ energy to resonate down. sacral and heart areas) and breathed and sent to each area. Others symbols/layers are more intuitive and very much depend on the status of the area (aura/chakra point, etc.) that is being worked on. The Crown and Solar Plexus are the two key areas. The crown is filled with an energetic chalice of light energy…. 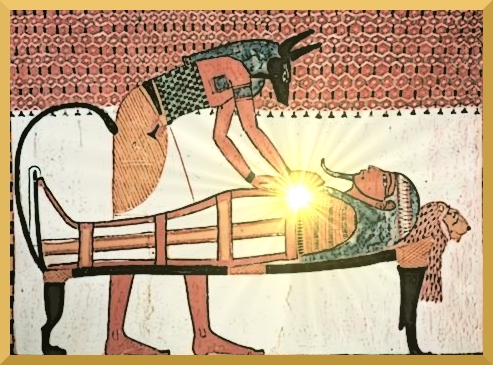 and the Solar Plexus is filled with Ra Sun Energy. When I’m travelling around, treatments are often carried out either sat on a chair instead of laying on a treatment table. 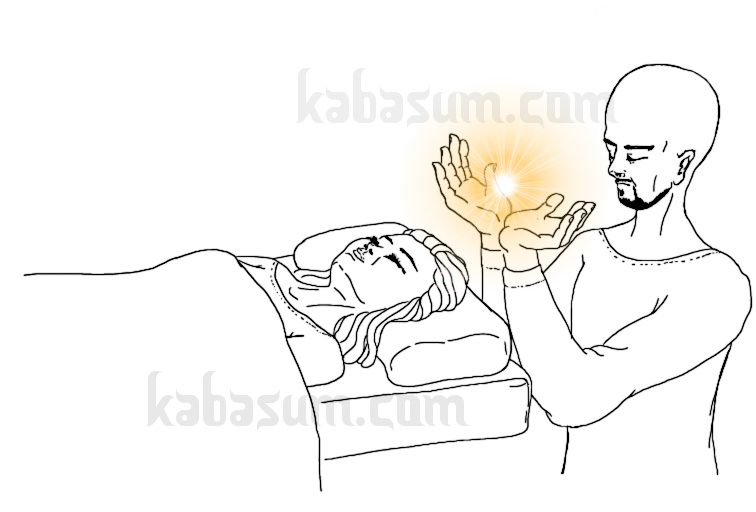 At the the beginning and end of the treatment the therapist will sweep your aura with an Apache Gold or Rose Quartz crystal wand and their hands to remove any remaining negative energy discovered and dislodged during the treatment. Note: The treatment itself lasts normally between 45-60 mins*. This means the whole process lasts between 1 1/2- 2 hours. * I say this as sometimes everything is done, balanced and brought back to you in about 45 minutes. The movements, sounds and gestures made during the treatment are not ‘for show’. I don’t believe in acting or pretending to do something when I’ve finished so I may finish within the hour. I still give plenty of time for feedback after a treatment (what I’ve picked up, any questions or things you’d like to say) so that is not a factor.